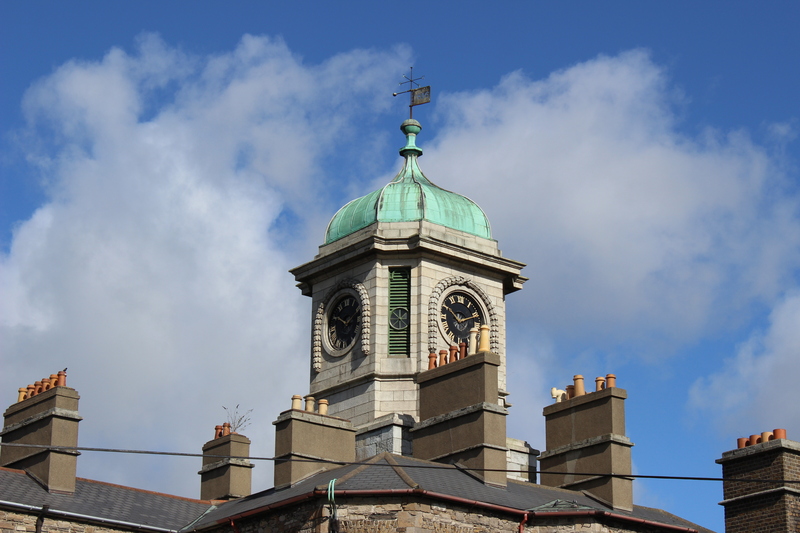 Originally opened in 1816 as the Richmond Penitentiary, this iconic tower is one of the most well-known of the 11 protected structures on the Grangegorman site. 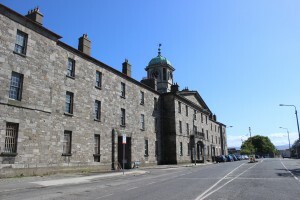 Built to the designs of Francis Johnston, also known for the Lower House on site and for the GPO on O’Connell St, the Richmond Penitentiary was the first of the penitentiary style in Britain and Ireland. 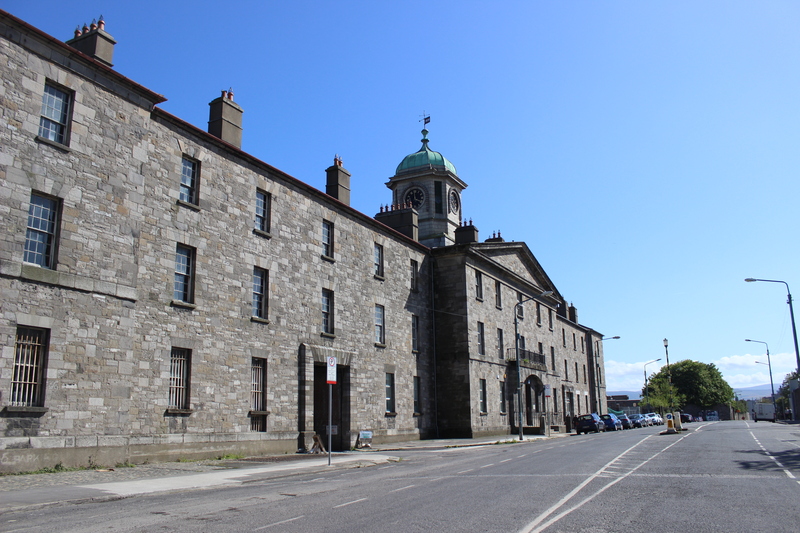 The front facade, which overlooks Grangegorman Lower and the western side of the site, is all that remains of the original structure. 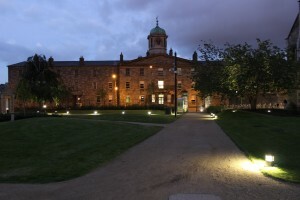 The Grangegorman Masterplan shows the building’s final use as academic space for the College of Engineering & Built Environment. A green area – the Cultural Garden – has been strategically placed directly opposite, framing the Clock Tower and offering a place for celebration and commemoration of this historic building and the wider Grangegorman site. 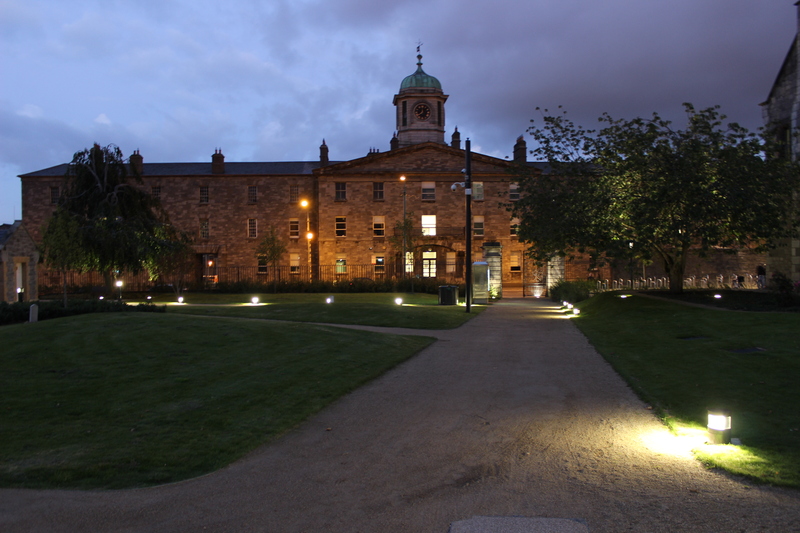 This was developed as part of the Site Infrastructure and Public Realm (SIPR) Project over 2013/14. 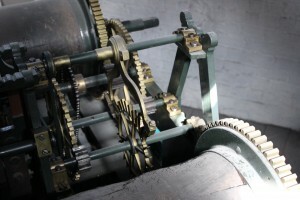 The four-sided clock on top of the building also has historic significance as it is the oldest flatbed mechanical clock in Britain and Ireland. 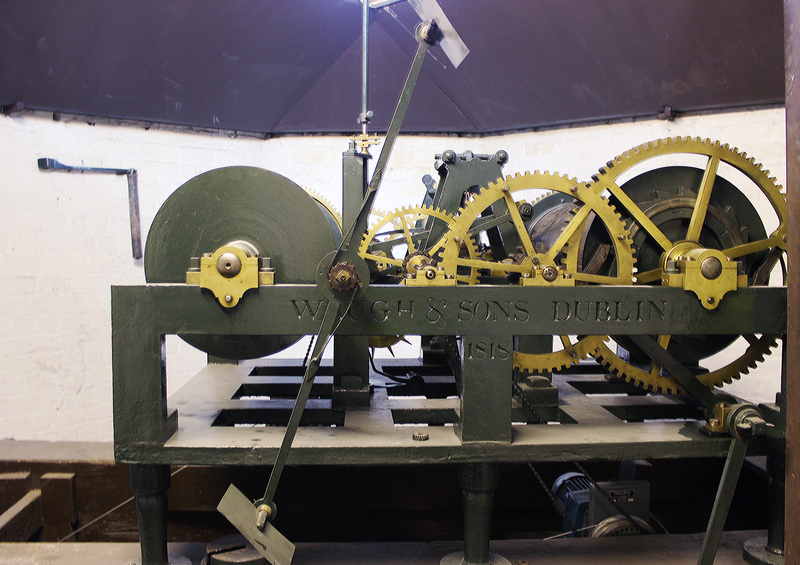 This is now regularly maintained and can be heard chiming the hour throughout the Grangegorman area. Initial stabilisation and partial refurbishment works were undertaken in 2014 in order to stem further deterioration and bring the building back into use. Since late 2014, the Clock Tower has been home to the GDA, DIT Campus Planning and the HSE Project Offices. Further works to the building, including the installation of disability access, are currently underway.